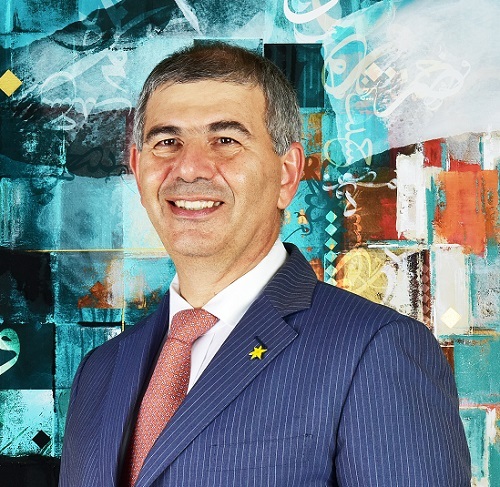 In this interview, Patrick Chalhoub, co-CEO of Chalhoub Group—one of the largest luxury retailers in the Middle East—discusses the origins of his family business in the 1955, as well as how it has evolved under his leadership. Chalhoub goes on to explain how the group grew from selling products directly to consumers, to opening brick-and-mortar stores, to developing large distribution networks, and later opening department stores and one-of-a-kind concept stores. He also talks at length about the unique consumer culture in the luxury segment, including both the locus of spending power and the importance of status and perception. In a similar vein, Chalhoub discusses the importance, as the group grew, of creating a luxury shopping experience for clients—as significant a factor as the quality of products on display—as well as how the group gradually went from selling branded products, to cultivating brand recognition in its own right. Chalhoub and his brother Anthony assumed the role of co-CEO in 2001. Since that time, they have secured exclusive contracts with brands such as Louis Vuitton, Nina Ricci, and others. They have also undertaken major efforts at restructuring and introducing a new governance structure, although the business remains family-owned. Chalhoub concludes the interview by discussing what he sees as the major challenges facing the group in the future, including the transition to online shopping and the evolution of customer tastes and shopping preferences. Manoj Nair, "Dubai luxury retailer is out to tear down the digital divide," Gulf News, February 5, 2018. Katie Abel, "How Level Shoes Became a One-of-a-Kind Retail Powerhouse in Just Five Years," Footwear News, December 17, 2017. "Inside the Challenging Retail World of Patrick Chalhoub," Arabian Business, August 17, 2017. Patrick Chalhoub, Co-CEO of Chalhoub Group,”CEO Magazine, November 2016. “Family Man Luxuriates in Joint Rule,”The National, January 20, 2012. “Patrick Chalhoub, joint chief executive officer of the regional businesses of the Chalhoub Group,”New York Times, October 26, 2008. Interview with Patrick Chalhoub, interviewed by Geoffrey Jones, Dubai, United Arab Emirates, March 21, 2018, Creating Emerging Markets Project, Baker Library Historical Collection, Harvard Business School, http://www.hbs.edu/creating-emerging-markets/.